Drawn behind the microphone for “Les Imprimantes 3D.fr” ! 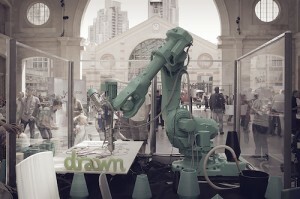 Last August 2nd , Drawn had the chance to be interviewed by “Les Imprimantes 3D.fr” ! The French website entirely devoted to the 3D printing, has first come back with us to Drawn’s and Galatéa’s origins, as well as the challenges we have faced, to make our project, a reality. Moreover, we spoke about the various services offered by Drawn, but also the ones we are currently working on, to provide them very soon. We also dealt with our technical development projects, which are essential to launch our new offers. 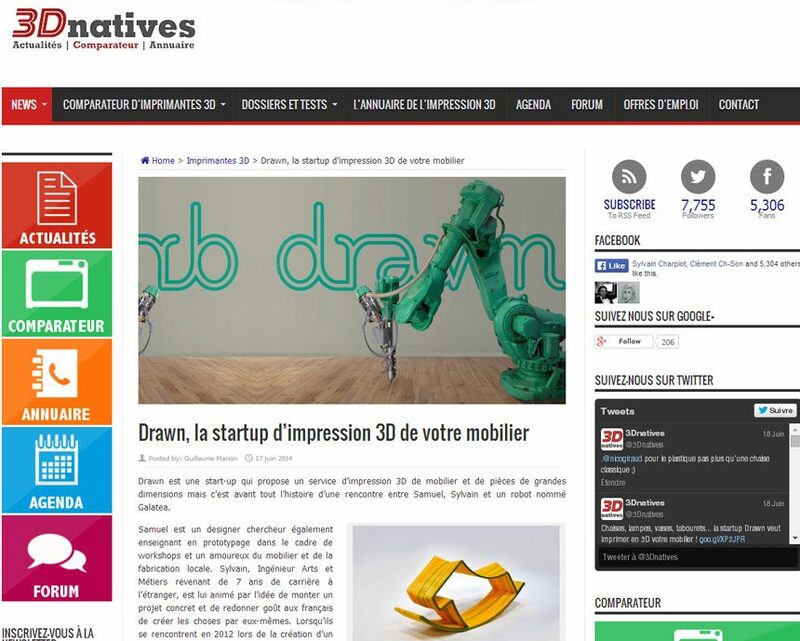 Thank you very much to MatC and all the “Les Imprimantes 3D.fr” team for this interview ! 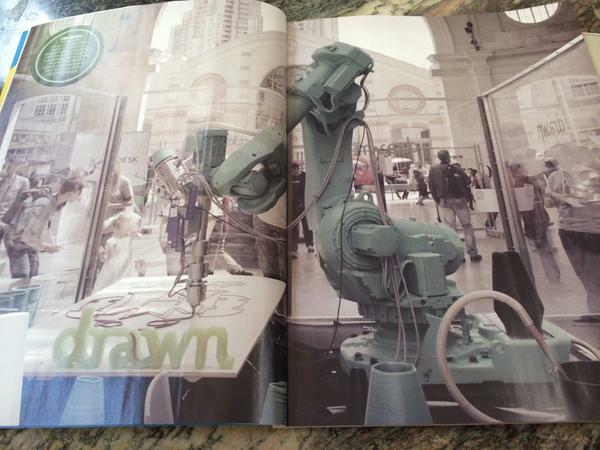 We are really proud to have an article entirely devoted to Drawn, on the reference website for 3D printing. And if you love Drawn, know that you can purchase our creations on our online shop ! 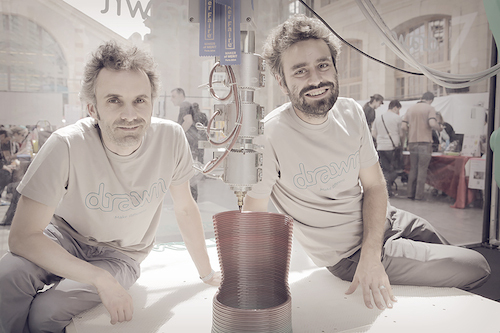 Finally, don’t hesitate to check our website to know more about Drawn ! We will return to you soon for more news about Drawn ! Galatea on famous magazine Socialter! She is now a star! Thanks to all to have been so fan to allow us to become so quick famous! 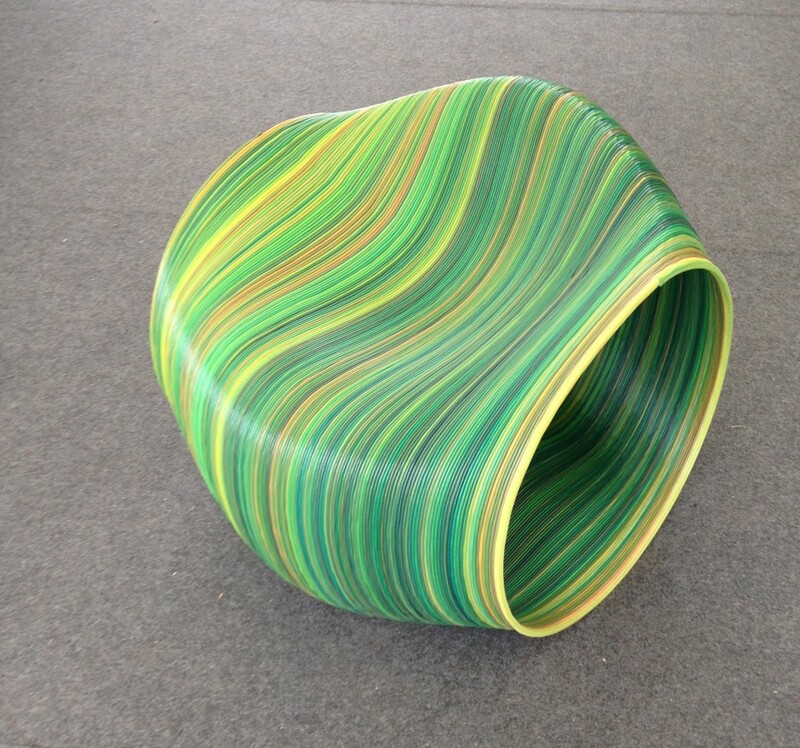 Drawn, furniture 3D printing reference ! Drawn has today the honor to be on “Les Numériques” ! 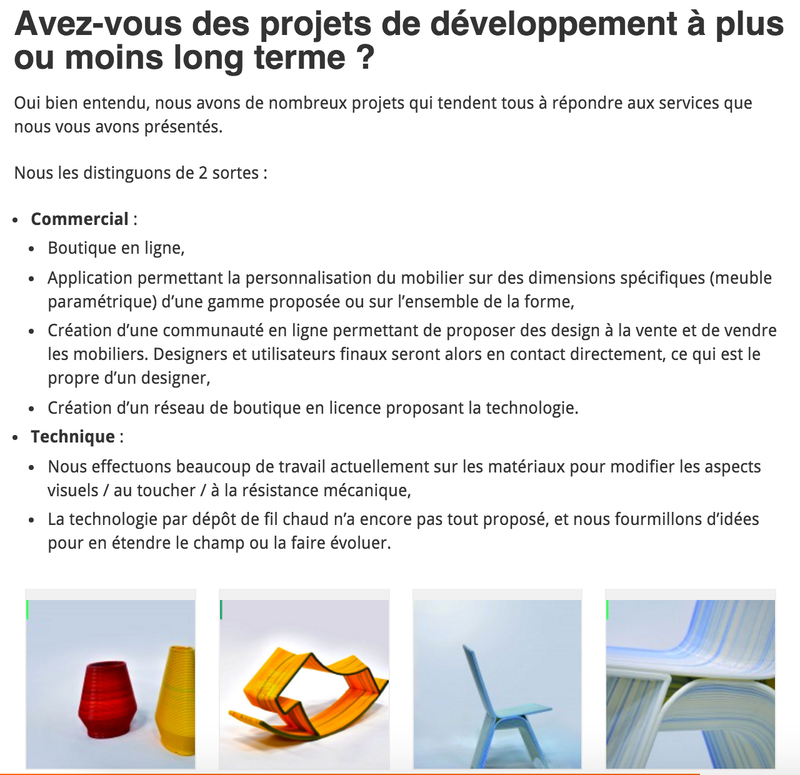 Today, the French website devoted to digital information and objects tests, published an article about the growth of the furniture 3D printing. It has thus written a true guide. Indeed,”Les Numériques” handles its origins, the possibilities given by this furniture production process, as well as its advantages compared to traditional processes. The website also deals with the sector stakes and its growth consequences on the furniture industry. Moreover, it presents the various existing offers and the players originating them. 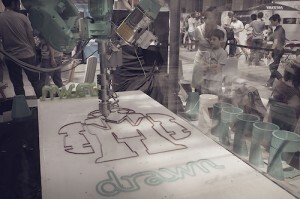 And Drawn has the honor and the pleasure to be part of them ! We are thus very proud to be named as being THE « on-demand design store » ! 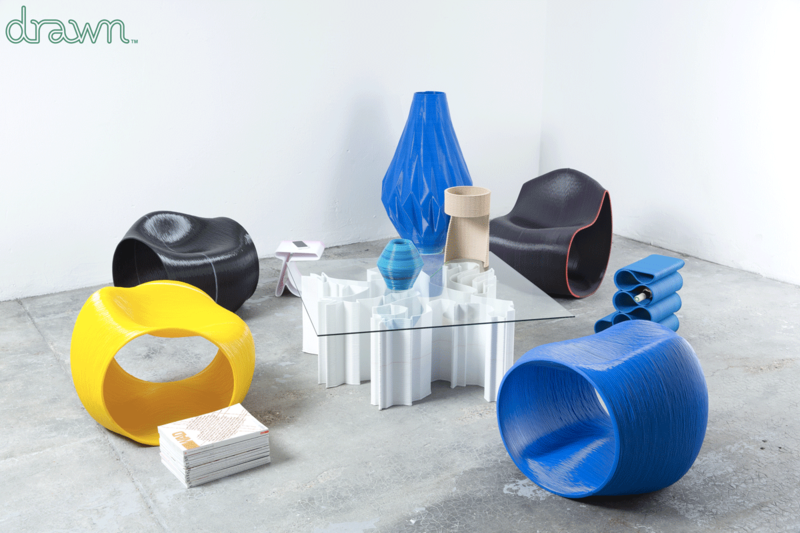 We are also really honored to be presented as the furniture 3D printing forerunners and the most advanced company in the sector. 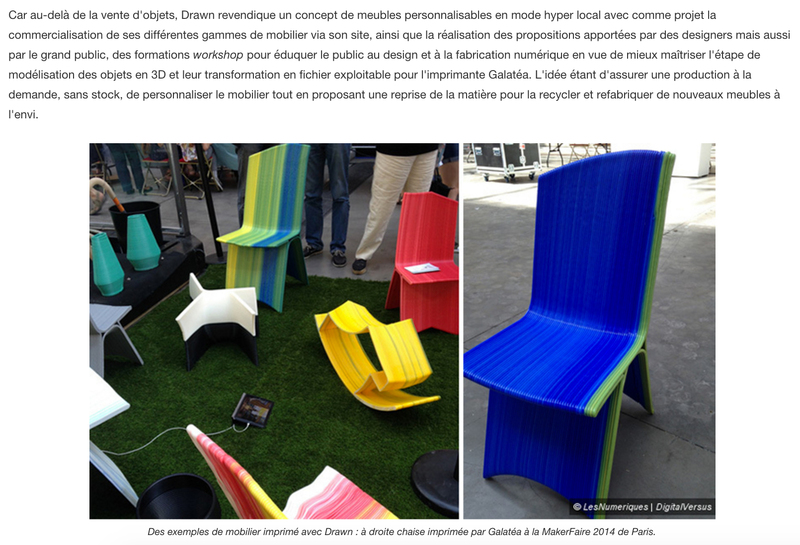 “Les Numériques” has indeed judged our concept as being particularly successful and concrete. The website has thus highlighted our concept and its assets. 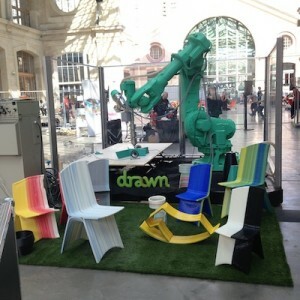 Indeed, by dealing with the various sector issues, it has also presented the solutions offered by Drawn. 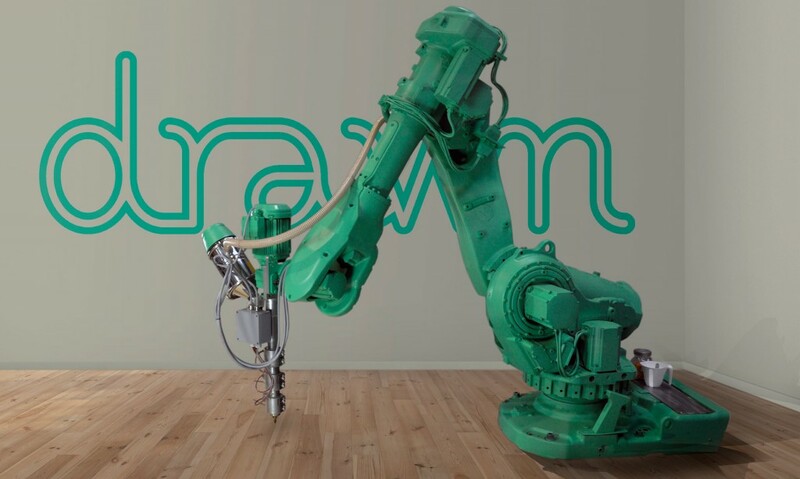 Thus, according to it, Drawn’s great asset is its ability to meet your expectations and implement its prototypes. This allows us to offer custom made and entirely personalized creations, which are produced hyper locally and in limited series. “Les Numériques” also put forward that Drawn distinguishes itself by large volumes production, besides of design objects. What’s more, they consider that we rise to the productivity challenge. 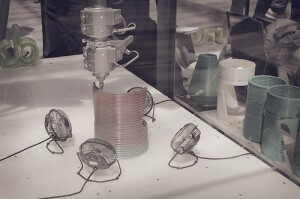 Indeed, one of the great weaknesses of the 3D printing is the time required for production. Yet Drawn, with barely more than one hour for a seat, proves that soon, the sector will be totally able to compete with traditional industry. 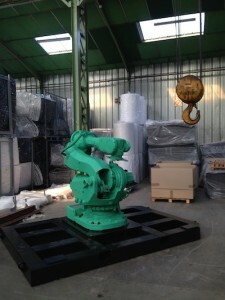 Besides, the website points out an other drawback of 3D printing : the production costs. But Drawn rises again to the challenge, as our hyper locale production, allows us to have very low costs. Finally, according to “Les Numériques”, we will respond quickly to the need of multiplying and combining several materials. Indeed, our creations will be soon composed of wood, flax and hemp. 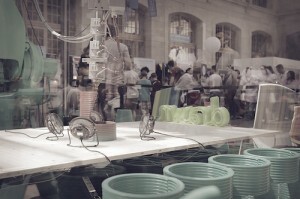 In fact, we have already exhibited a coffee table made from wood fibers, on the Paris MakerFaire exhibition. The website concludes its article on our projects to come. It thus deals with our wish to develop a network of local shops, allowing everyone to create entirely personalized furniture. It also handles our desire to offer workshop trainings, to raise awareness of design and digital manufacture. Finally, “Les Numériques” speaks about our project to make Galatéa replicas, which will produce 3D printed creations, all around the world. We want to warmly thank “Les Numériques” for its very laudatory and comprehensive article on Drawn. We are really thrilled and proud of such a recognition of our work. You love Drawn’s creations ? Check out our online shop ! 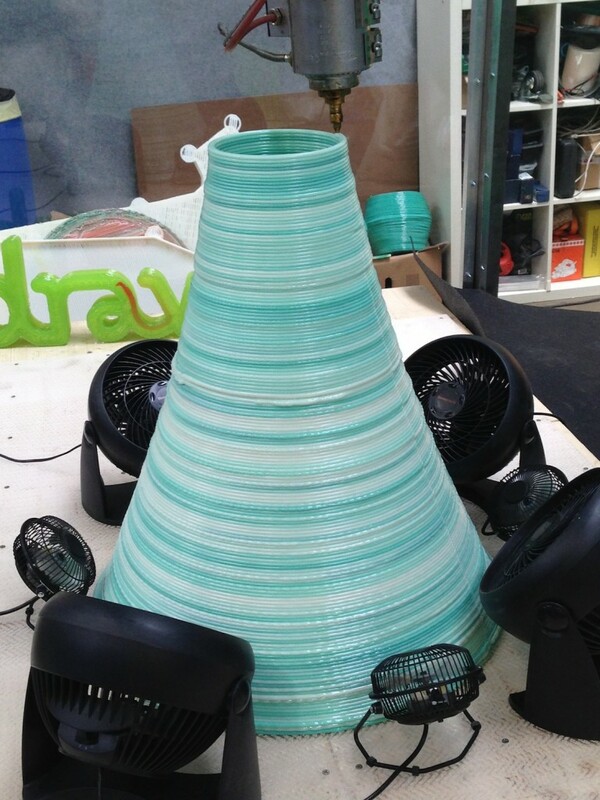 Galatea starts to make 3d printed scenography! 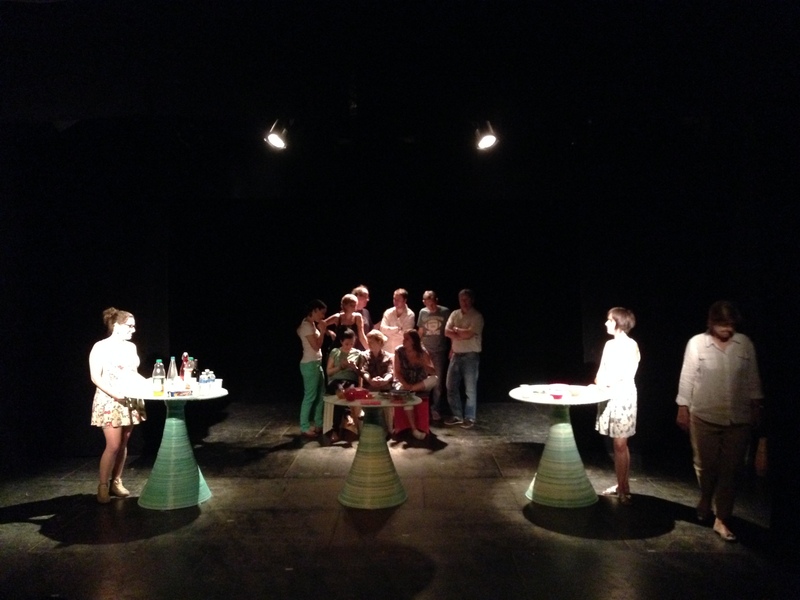 Galatea worked hard to create the complete scenography of the theater play « La vie quoi! » played in Lyon on Acte 2 scene last 6 and 7 of July. 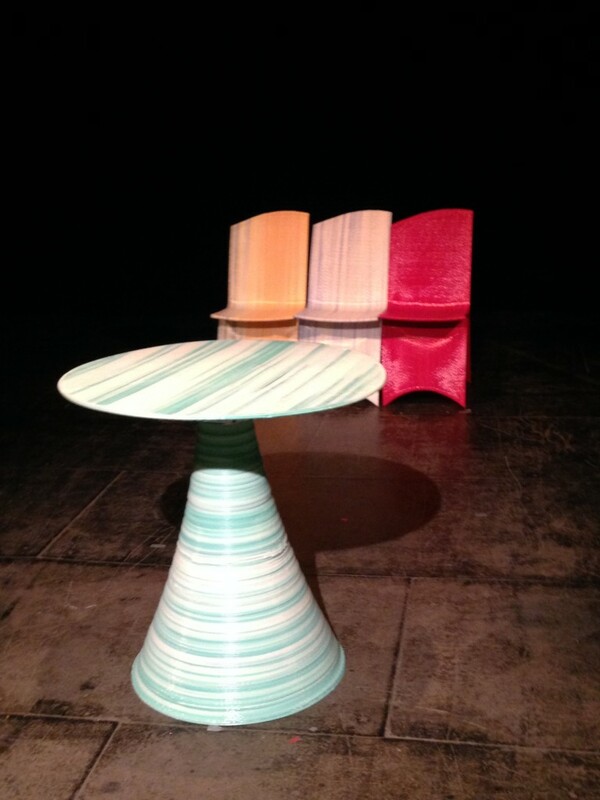 This play produced by Aurelie Kavafian was sold out at the 2 representation days. galatéa worked hard to print all scnery for the play! You can read it on page 18. 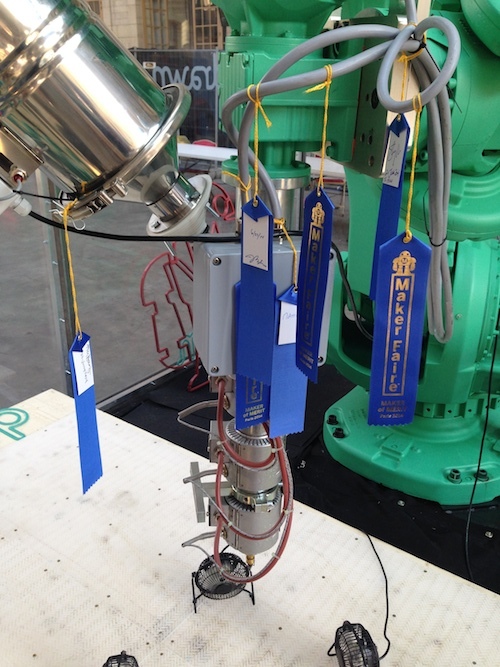 We are very proud to receive such honor from this media, a reference related to all industrial subjects in France following our MakerFaire Paris participation. Thanks for all, Galatea is very happy. Social networks are unbelievable! We’re getting excellent coverage already. The news of our successful venture is traveling around the world at a dizzying speed! Many mainstream medias are currently contacting us…. we will keep you posted in due time about what they too have to say! 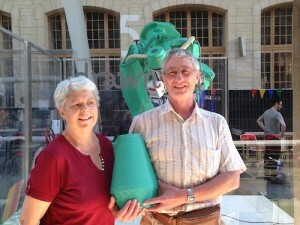 It was a fantastic experience, but all great things come to an end: we’re on our way home from MakerFaire Paris today. What a first edition of the event it was… We’re utterly exhausted, but oh so happy! Bringing Galatea to Paris and properly setting her up in time was a major challenge for the team (Sylvain Charpiot, producer, and Samuel Javelle, scripter) – no efforts were spared to make it happen. Safely setting up and connecting Galatea to its power and data inlets – Sylvain learnt a lot about clean and clever welding at an early age as he was setting up his first company, specialized in security alarm systems. Freshly-printed business cards delivered to us in Lyon on June 18th , only a day before our departure for Paris! 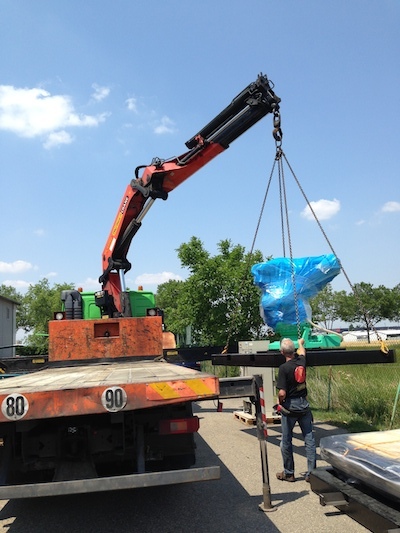 Sylvain organized the transportation of 2 podiums weighing in total 4,5 tonnes – his commissionning engineer experience gathered during a work experience at Air Liquide in scandianvia carrying and assembling elements weighting a few hundred of tonnes came in handy! Special thanks to the MakerFaire Paris team for their logistical support and organizing skills, as well as their unfailing availability during the entire event. An extra special nod to Sylvain Clenet, the Event Manager, to Jean-Batpiste Le Clec’H, the Project Leader, and of course to Bertier Luyt and his nice team! Galatea was surprinsingly docile and efficient during these 2 days! Even in our workshops a few days earlier, she didn’t behave that well! This allowed the whole Drawn team (Samuel, Galatea and Sylvain) to truly shine in this first edition of MakerFaire Paris, by winning no less than 7 Makers of Merit awards from VIP members of the event! * Sylvain warmly recommends watching this Steve Jobs video, but also to practice Yoga and meditation …. This Thursday, Galatea travelled all the way from Corbas (Lyon region) to Paris, and arrived at the 104 exhibition hall at midnight. 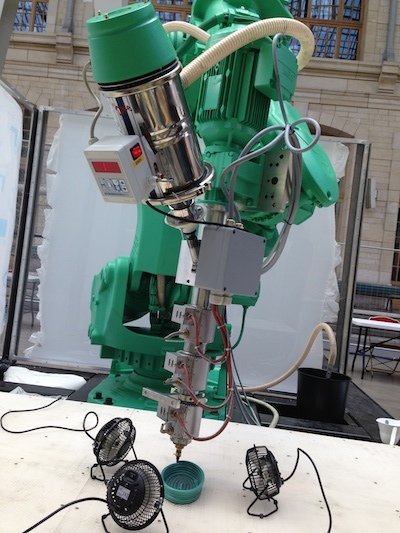 Our robot had to beforehand be fitted into a sturdy steel base in order to be able to operate safely in front of the events’ visitors. Galatea is ready to go! Do note that this is a 1.2-ton piece of equipment! A transportation company was found and contracted at the last minute – it wasn’t too hard to convince them to give us a hand at such short notice: they really liked our project! 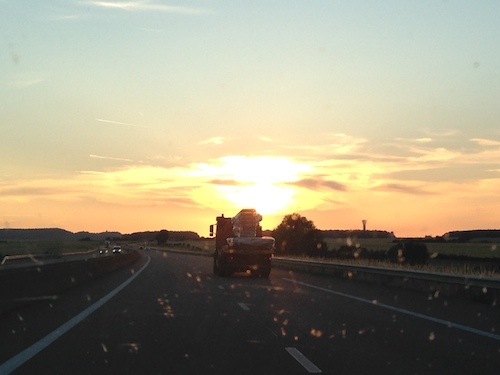 Thanks to the AVLM team and especially Aurélie Belhocine, Stéphan Moreau and Philippe Amoroz, our amazing truck driver! We would also like to thank AITB company for putting us in touch with the very affordable services of AVLM. In order to equip our stand and allow MakerFaire Paris visitors to admire Galatea, we had to design and build our own plexiglass – safety for all, as well as a 360° view of Galatea at work! Thanks to SP team, especially Nicolas, Cédric Perrin and his sister! This friday at 4pm, we were ready to launch Galatea and test her in this new environment! One minor hiccup is to be noted: Sylvain, scatterbrained as he can be, forgot Galatea’s key in Lyon and had to go back as fast as possible to return in time for the launch. Thanks to Laurent Martinez’ team for their help in this matter. 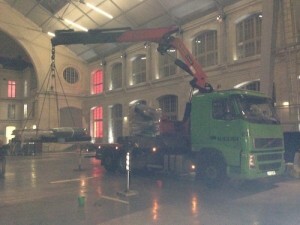 MakerFaire Paris is now over. What an amazing experience it was! More than 650 of you participated in our contest, and many, many more kind and enthused people came over to congratulate us for our achievements. Thank you very much for everything! We will shortly contact them to send them their prize. We’re In the news already! 3DNatives have published an article full of kind words for our new-born Start-Up. A big thank you to the people of 3DNatives – it’s a most heart-warming welcome gesture from them! 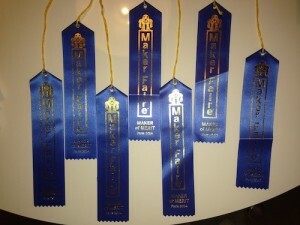 More of the same to come?